Enjoy a special pork-inspired menu every Thursday at Pizza on the Hill featuring pork nachos, street tacos, sandos, mac 'n' cheese, pizza and more! Plus great $3 beer specials! 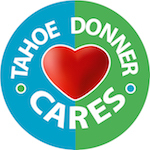 The Tahoe Donner Board of Directors will meet at Northwoods Clubhouse to discuss association business. Two vacancies on the TD Board of Directors will be filled this June, and all eligible candidates are encouraged to apply by Monday, April 30 at 4PM. Candidates must own at least 25% of a residential property within Tahoe Donner, and be in good standing with the association. Kids ages 4-9 are invited to an evening of fun at Northwoods Clubhouse while parents enjoy a night on the town. The Architectural Standards Committee (ASC) is responsible for administering the Architectural Standards Rules, Procedures and Restrictions for Land Use, and generally protecting the overall investment of our Tahoe Donner community. The Covenants Committee oversees the administration and enforcement of the Governing Documents and Association Rules as they apply to property owners regarding care and maintenance or properties and the behavior or property owners, their guests and tenants. The Finance Committee provides financial advice, analysis and information to the board of directors to enable the board to make sound business decisions. Meet the 2019 Tahoe Donner Board of Directors Candidates in an informal setting that allows members to ask questions. Listen to the candidates articulate their campaign platforms so you can make an informed decision. Kids ages 4-9 are invited to an evening of fun at Northwoods Clubhouse while parents enjoy a night on the town. Includes games, dinner, arts and crafts, a movie, a bedtime story and more. Join the 2nd annual community yard sale in Tahoe Donner! Register your property today. Members' questions that were submitted by May 15 will be answered by the candidates at this live forum. 2019 Tennis Nostalgia Event - Kick off the season with an exciting afternoon of tennis followed by a potluck BBQ and social gathering. Celebrate the trails and continue a Tahoe Donner tradition on this free interpretive guided hike exclusively for TD members and their guests. Meet the horses and staff, enter to win a trail or pony ride, and collect trading cards featuring the horses. Give back to the community by helping to build and maintain the trails in and around Tahoe Donner. Hosted by the Trails Club and the Trails Department. The Tahoe Donner Board of Directors will meet at Northwoods Clubhouse to discuss association business. Voting for the 2019 Board Election will be open 9AM-5PM. Join other women for a weekend of mountain biking focused on riding skills, communication and trail etiquette. Join the Tennis Club for a full afternoon that includes a warmup clinic from our USPTA-certified teaching staff, round robin play and a BBQ and potluck feast. The Wibit inflatable obstacle course will be set up on Saturdays throughout the summer, so get ready for a great night of water-based fun. Climbers of all levels are welcome at this challenging and fun morning of rock climbing with professional guides on Donner Summit. The Tahoe Donner Board of Directors will meet at Northwoods Clubhouse to discuss association business. Voting for the 2019 Board Election will be open 10-11:30AM. 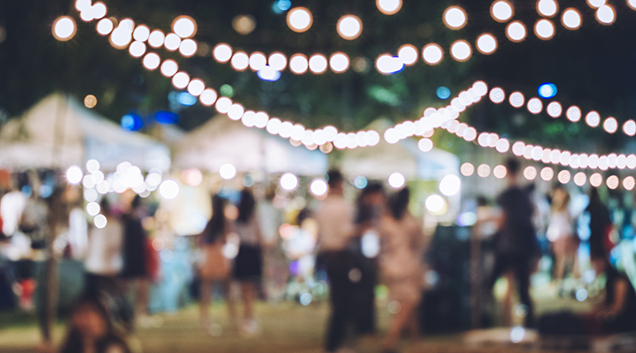 Join your friends and neighbors in Tahoe Donner community for the annual Members Picnic & BBQ immediately following the Annual Meeting of Members. Grab your pirate hat and head down to the beach, mateys. Registered teams receive maps to various clues that will eventually lead to the booty. This family-friendly cross between soccer and golf is played at the driving range. Bring a soccer ball but please don’t wear cleats. Cowgirls and cowboys are invited to gather for an early evening trail ride followed by a social hour with beer, wine and appetizers. Tahoe Donner's biggest event of the year returns Friday and Saturday, July 5 and 6, 2019 featuring two nights of performances by today’s top tribute bands. Tickets are on sale now. Sit back, relax and watch the pros go to work as they battle it out on the court for your viewing pleasure. Bring the little ones for a fun Saturday morning with a hearty breakfast followed by a 15-minute pony ride. Join fellow equestrians for a fun-filled, family-friendly evening of games, crafts, contests and delicious food cooked to order. Wear your Wimbledon whites (or pajamas) as we shall share a spot of tea, strawberries and cream, and scones whilst we watch Wimbledon together. Prizes will be awarded for those who catch the largest, smallest and most crawdads at this catch-and-release event. Join the Tennis Club for a full afternoon that includes a warm-up clinic from our Pickleball certified teaching staff, round robin play and a feast of BBQ and potluck favorites. Teams of two create boats out of cardboard and duct tape for this race to the buoy and back at this longstanding Tahoe Donner tradition. Bring the little ones for a fun Saturday morning with a hearty breakfast followed by a 15-minute pony ride. This event is for children ages 2-6. Bring a team of 4-5 for this exciting hunt. At least one participant must be age 18 or over. Space is limited; sign up the morning of the event. Bring the family for dinner at The Lodge Restaurant & Pub then head out for putting and closest-to-the-pin contests with glowing golf balls for great prizes. Players ages 12-18 are invited to compete in this annual tournament. The Truckee River Watershed Council will hold their 24rd annual Truckee River Day volunteer event on Sunday, Oct. 20.